This well done home is in a perfect location on an enormous 1/4 acre lot, has tonnes of professionally done updates inside and out, and even has RV Parking. 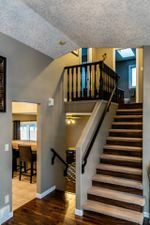 The main floor flaunts a bright open formal area with vaulted ceilings, redone kitchen with eating nook overlooking family room, ledgestone natural gas fireplace mantle with matching ledgestone feature wall as well as new 15mm laminate and tile flooring throughout. 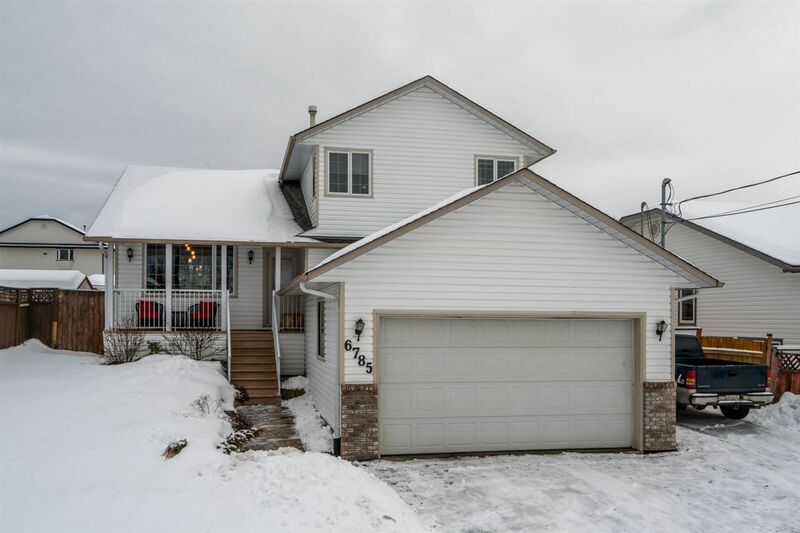 Upstairs are 3 large bedrooms Including large master peering over backyard with walk-in closet and full ensuite. Outside, the huge yard boasts a multi-tiered deck with hot tub (negotiable), great RV parking with easy yard access and the house has a 2 year old roof.